You’re working hard to become financially secure, but what are you actually doing with your money to help you reach the financial goals you’ve set for yourself and your family? 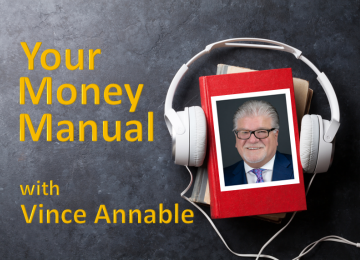 On “Your Money Manual,” host Vince Annable, CEO of Wealth Strategies Advisory Group, provides a fresh perspective with information on unique and tested investment ideas that many financial advisors don’t share with their clients. If you’ve ever wondered how high net worth investors successfully protect and even grow their assets when the markets get rough, then this may be the show for you. That’s just one of the reasons we invite you to listen to “Your Money Manual” because when it comes to investing, your money doesn’t’ come with Instructions! If you’re unsatisfied with “status-quo” investment advice, listen to “Your Money Manual,” where host Vince Annable discusses fresh ideas & strategies for managing, growing and protecting your wealth through every life stage and all market cycles.